Abby has prayed for years that her estranged son would come home. Stacie has faced the loss of one job and a stressful transition to another–with a broken leg. Jack has worked hard to qualify for a prized promotion, but the boss’s unpleasant nephew was awarded the position instead. Tricia can’t seem to shake a gray cloud of despondency, ever since her fiancé broke off their engagement. Kate goes through the motions at church and even continues with her quiet time. But God seems to have distanced himself. She hasn’t sensed his presence for weeks. These circumstances and more can cause a downward spiral in our spirits, as debilitating emotions take over–emotions like frustration, anger, hurt, worry, and depression. 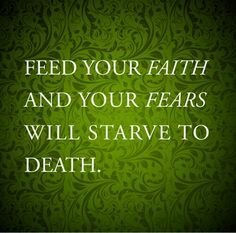 If we feed these emotions with negative thoughts, our faith in God begins to falter. So much time has passed; God is never going to answer your prayer. Bad things keep happening; God has obviously abandoned you. God doesn’t care about your life. Otherwise, why would he allow you to fail? They say God offers love, hope, peace, and joy. Right. None of it is coming your way. It looks like God has forsaken you and to make matters worse, you don’t even know why. Is it possible to fight against such feelings and fortify our faith? Oh, yes! Our fight begins with truth—straight from God’s Word. 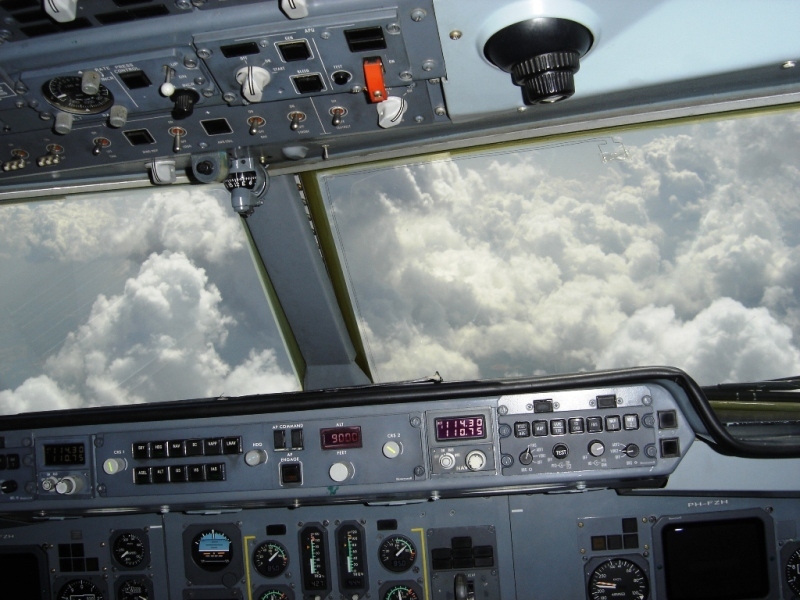 We have to choose fact over feelings—just like a pilot does, as he flies through miles of thick clouds. In order to stay on course, he can’t trust what he feels is proper speed, direction, and altitude; he has to rely on the facts presented by his instruments. So what scriptural truths might help us maintain our spiritual equilibrium? There are dozens, perhaps hundreds of passages that address our various needs with pinpoint perfection. “The Lord is faithful to all his promises and loving toward all he has made. 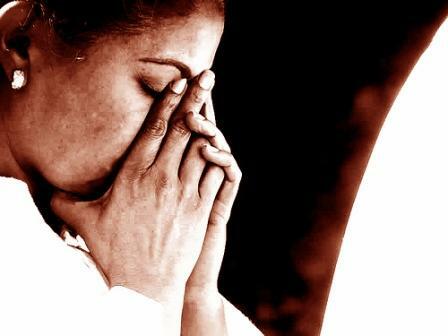 The Lord upholds all those who fall and lifts up all who are bowed down” (Psalm 145:13-14). If we read the Bible with the intent of finding applicable truth for our circumstance, we will not be disappointed. Now the question is: Are we going to take God at his word and then act upon it? Hebrews 11 gives us a line-up of faith-stars who did just that–based their actions on faith, not feelings. By faith Noah built at ark (v. 7). He did not allow feelings of inadequacy to stop him. By faith Abraham left home with no notion of where he was going (v. 8). He did not allow fear of the unknown to deter him from following God’s direction. By faith, the parents of Baby Moses hid him from Pharaoh. They did not allow fear of punishment to stop them. “They were not afraid of the king’s edict” (v. 23). By faith the people of Israel marched around Jericho seven times, even though it didn’t make sense (v. 30). Bottom line: Faith is the exercise of our minds, based on the stable truth of God’s Word, in spite of what we might feel. Emotions are just the unreliable, fluctuating condition of our minds (J. Clarke, http://www.writtentreasures.org). On the other hand, God doesn’t ask us to ignore our feelings. Job, David, and the prophets honestly expressed frustration, fear, disappointment, and discouragement. But they didn’t allow their emotions to cripple them. Also worth noting: None of these faithful people were perfect, yet God honored their faith. He doesn’t need perfect people to accomplish his purpose, just willing and faithful ones. Forgive me, Lord, for allowing feelings to impact my faith, to weaken my trust in you. Together with you, may I fit every thought and emotion and impulse into the structure of life shaped by Christ. Thank you for listening and offering encouragement as I confess to you my feelings. You even supply strength, peace, and hope. And finally, I praise you that you preserve the faithful. I am secure in you. In fact, you, my all-powerful God, are security itself. Art & Photo credits: www.hem-of-his-garment-bible-study.org; www. 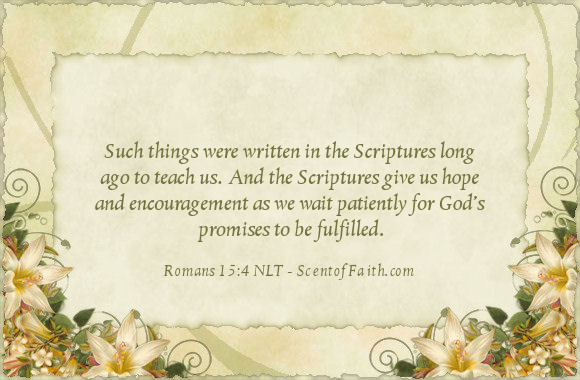 pbase.com; http://www.scentoffaith.com; http://www.pinterest.com. Oh, how I needed this today, dear Nancy! What He can do with us when we submit and trust Him. He is the One who leads us through…. always. THANKS, friend! Indeed. “Trust and obey, for there’s no other way, to be happy in Jesus!” Thank you, Heidi. Praise God this post ministered to you today. What treasures from scripture you collected here, Bruce. Thank you! Indeed: God’s ways are ALWAYS right, whether we understand or not. Love, love, love this! And so need it today! Thank you! Your illustration with the pilot is illuminating. What a great parallel to our faith and trust in Christ to lead us. I’m so glad you found the post encouraging. (God encouraged me as I wrote!) Thank you for stopping by and taking the time to comment. This came from you at the right moment. Thanks for your encouraging blogs. Praise God for his timeliness, Laura. It warms my heart to know this post ministered to you. Blessings to you, dear friend! Thank you, Jean. This post did come from experience. There have been times in my life when I did have to fight hard against the devil’s lies. What a great life verse you’ve chosen, one very applicable when feelings interfere with faith. Thank you so much for adding it to the discussion. What a comfort to me (being of a perfectionist-type character) that God doesn’t expect me to be perfect… “He doesn’t need perfect people to accomplish his purpose, just willing and faithful ones.” What a blessing that is to me! Also, the tools you’ve described above to combat feelings overtaking faith are gems. Thanks so much! I, too, have to fight those perfectionistic tendencies. Praise God for his grace that accepts us (Luke 15:11-24), forgives us (Heb.8:12), and helps us to fulfill his purpose (Rom. 8:28)–nonetheless!